Stewart Garden Premium Extra Deep Gravel Tray 52cm provides a rectangular multi-purpose rigid and durable thickened black plastic tray suitable for the garden, growhouse or greenhouse. 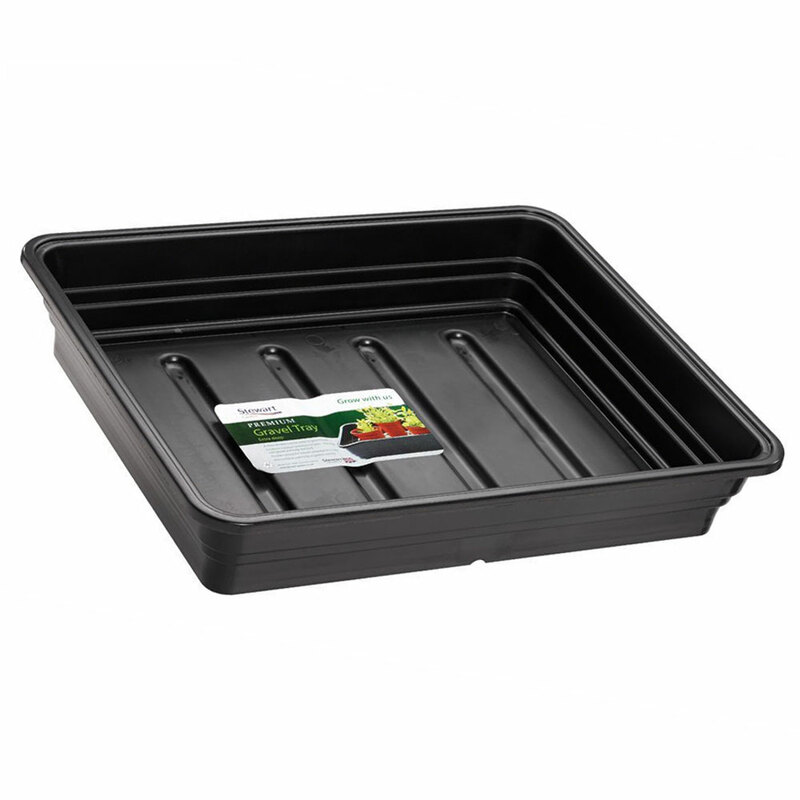 Suitable for so many garden uses, inside and out, the premium gravel tray benefits from being UV & Frost resistant, ensuring colour will not fade in direct sunlight, and will not crack from frosts. Gravel tray benefits from no drainage holes, but offering great water retaining depth, allowing for plant pots to be placed on top of gravel for good irrigation when growing on. Other uses may include use as a deep water reservoir for plant pots whilst away for short breaks on holiday. Cacti growers use the premium gravel trays for keeping the correct water levels during a growing season. Excellent moisture retention for pots or simply used as a pot holder. Manufactured with 100% recycled materials within the United Kingdom.